MIAMI (January 18, 2019) – Latin music icon, FARRUKO, is ready to delight his fans once again with the release of a new single and music video, “Nadie.” The song will be included in his upcoming new album, Gangalee, set to be released later this year. The single is available now in all digital music platforms. 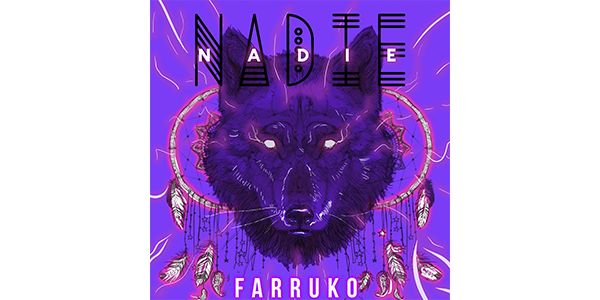 In “Nadie,” Farruko delivers his signature musical style, in which urban beats are intertwined with Caribbean and reggae sounds to create an aural masterpiece. The song carries a strong message of female empowerment: that women shouldn’t need anyone’s approval to be happy, but rather love themselves and they are capable of accomplishing anything they set their minds to. The video, filmed in Miami and directed by Fernando Lugo, shows Farruko in a tribal ritual, where he locks eyes with a beautiful woman who is somewhat forbidden to him. Recently, Farruko has enjoyed massive success with his latest collaboration with Pedro Capó in “Calma Remix.” The song was released in October and it’s currently the #1 Latin song in the world. The single is the #5 Global Track on Spotify’s Top 50 and is the most streamed Latin track globally. The single has also reached the Top 10 on Spotify and Apple in Italy, and has entered the Top 200 in Austria, Belgium, Germany, Greece, Hungary, Switzerland, Sweden and the US, consumed over 500 million times in audio and video. This past month, Farruko also celebrated receiving a nomination to Premio Lo Nuestro in the category of “Remix Of The Year” for his colossal hit, “Inolvidable Remix,” alongside Daddy Yankee, Akon, and Sean Paul. The awards will be broadcasted live on February 21 at 7 p.m./6C on Univision.